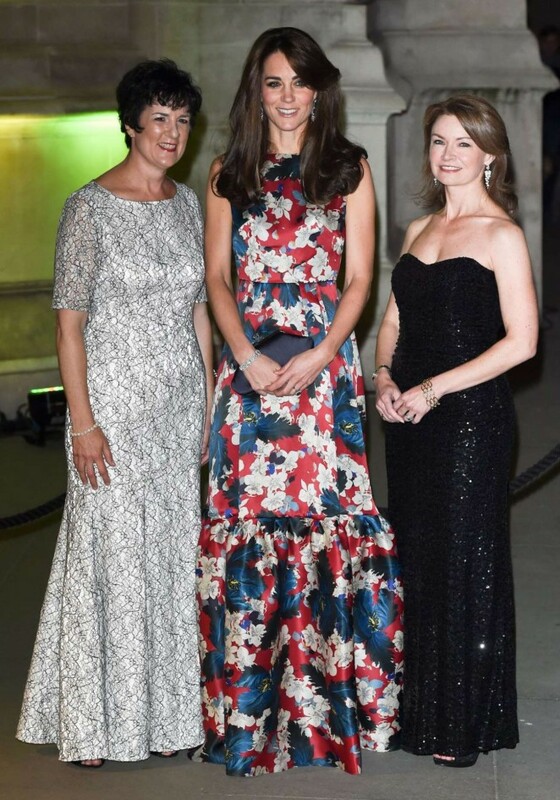 The Duchess of Cambridge Kate Middleton attended the 100 Women in Hedge Funds black-tie event held at the Victoria & Albert Museum in London. Opting for a glamorous floral printed floor-length gown by British designer Erdem, Kate vowed in the silk dress that costs a whooping £2,660. The brunette showed off her slim physique, and styled the colourful dress with the late Queen Mother's diamond and sapphire fringe earrings, a diamond bracelet, believed to have been a wedding present from Prince Charles, and a £450 Anya Hindmarch 'Maud' satin black clutch. 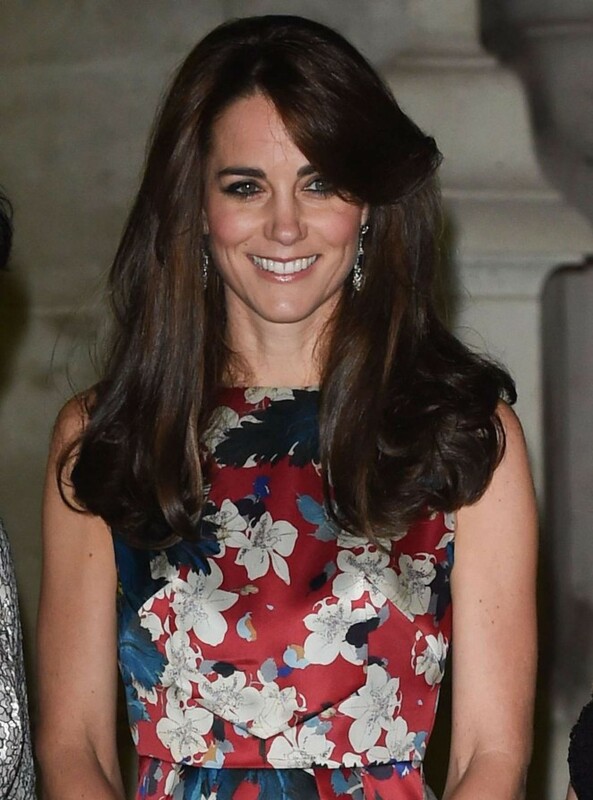 Kate had her brunette hair side-swept in elegant waves and opted for thick eyeliner and pale glossy lips. Perhaps now feeling more comfortable in her skin, the Duchess has been sporting bolder designs since the birth of her daughter earlier this year, though is becoming shockingly skinny. Kate also wore towering black heels and was all smiles as she walked into the gala dinner.